Our Little Miracles: Tummy Time! 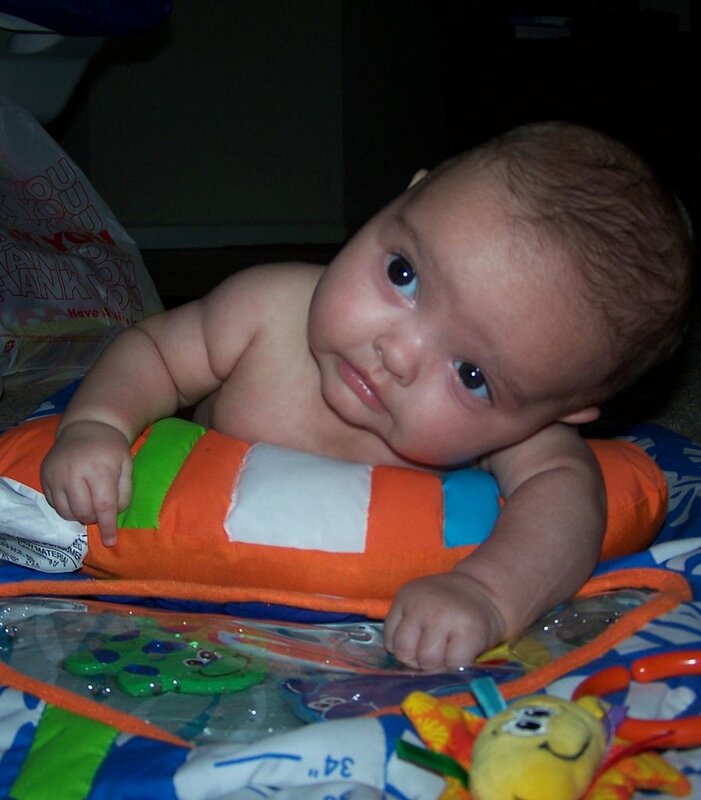 We recently bought a "tummy time" surfboard mat for the boys. They seem to like it - until they get tired. They are both doing good. In fact, Hayden decided to take it one step further and roll from his belly to his back on Monday. Of course, I wasn't there to see it, but my mom told me about it. So, when both Phillip and I got home, we had to see if he'd do his new "trick" for us, and he did. It was great! He can almost roll from his back to his belly, but not quite. Right now he just makes it to his side. 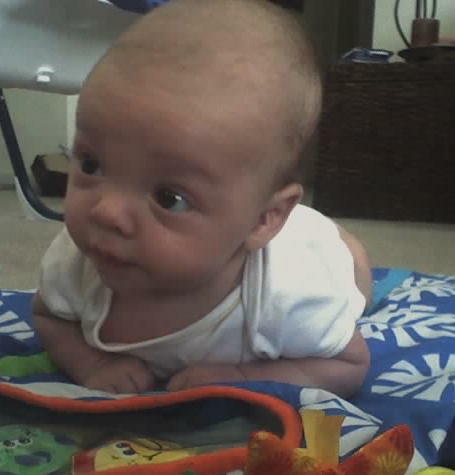 Carson is starting to try to roll from his belly to his back, but we've not seen it happen yet. He does, however, look like he's trying to crawl. I am sure it's too soon for that, but once he gets a little more coordinated, I bet he'll be moving in no time!